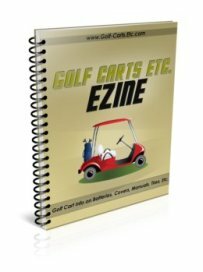 Golf cart storage baskets, nets or trunk boxes are important, make that essential, accessories for those of us who live in a golf cart community. My wife often goes grocery shopping with the golf cart, and knows all about grapefruit rolling out of the grocery bag down the hill and never to be found. 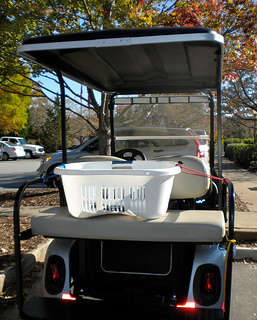 Golf cart owners often have to come up with their own storage solutions - like the laundry basket held on with bungee cords. Or for under the seat, two plastic crates held on with bungee cords. 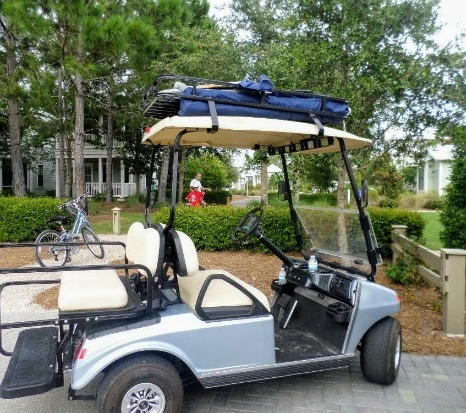 It comes with four velcro straps, so you can securely attach it to your golf cart's fold-down rear seat or the canopy. Now you have room to bring almost anything for your day at the beach, or for camping, off - roading, hunting, shopping or doing yard work. 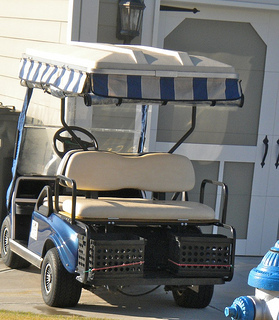 A golf cart roof rack is easy to install with brackets specific to your golf cart make and model. Made of heavy duty black powder coated steel construction makes it a durable solution for carrying hunting equipment or hauling yard debris. This carrying solution attaches to the golf bag carrier. It is made of a heavy-duty nylon mesh. Easy to install and remove - literally just takes seconds. This is a great bag if you want to do your grocery shopping and need space to put your purchases such as paper towels, toilet paper, or canned goods. I probably wouldn't put my eggs or fresh raspberries in there :) It also works to haul sports equipment when taking your kids to soccer practice. 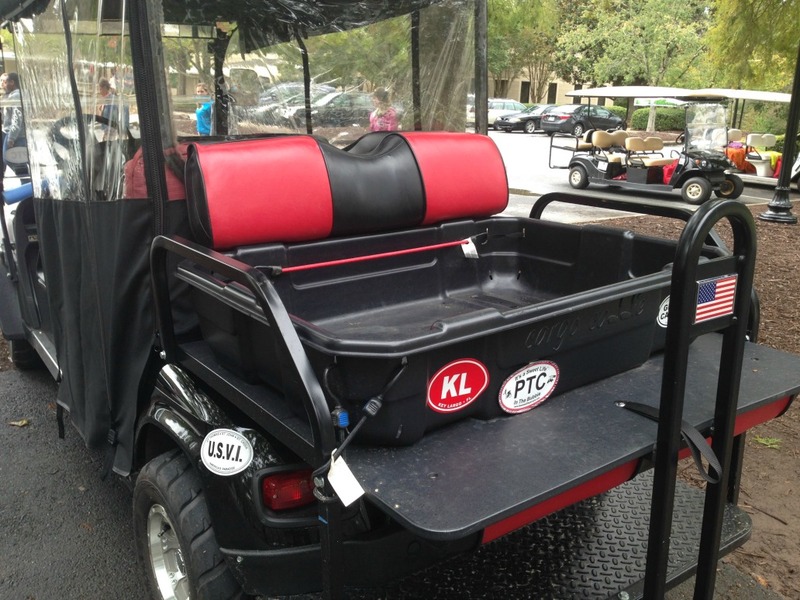 If you never plan to use the golf cart for 4 passengers, then install a cargo box kit. While the flip seat is more of just a flatbed, a cargo box kit has sides that come up - like a big box. 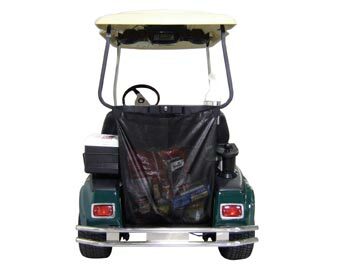 With this golf cart accessory, you can haul plants, carry away debris or get your mulch to the other side of the yard. Some of them have a hinged tailgate for hauling extra long branches or equipment. These cargo boxes can haul from 150 -300 pounds. 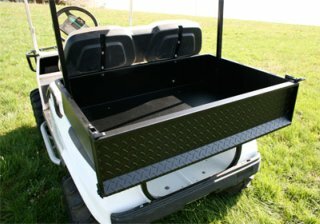 Cargo box kits can be specific to the make and model of your golf cart or you can purchase a universal one. Generally they run around $280. Some boxes include bungee cord cutouts so you can strap down whatever it is your hauling. Trailer hitches and heavy duty straps are other accessories that can be useful. 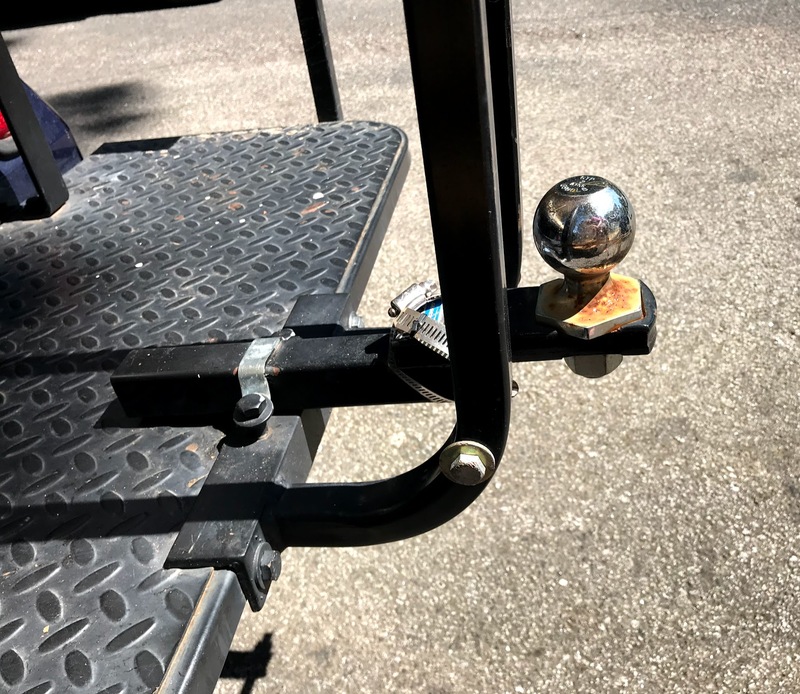 Hitch up a small trailer or wagon with this golf cart accessory. 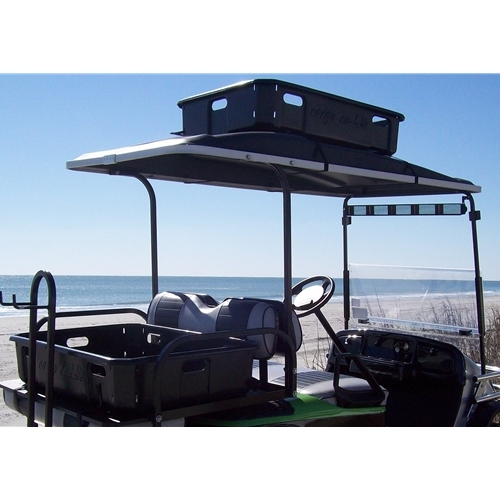 Use it to haul stuff to the beach, to carry hunting equipment or to perform yard work. The one pictured fits on the back of the golf cart rear seat. It comes as a kit with a safety bar.